A perforator is an indispensable tool in construction and repair, with the help of which holes are made in walls of concrete, stone or other material. Outwardly, it looks like a drill, but the principle of action is different. 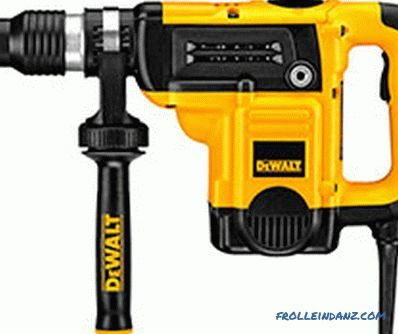 This article will discuss the various types of drills, the purpose of each tool and its scope. Punchers weighing less than 4 kg are considered lightweight. They are bought for periodic repairs in the home or garage conditions. Better known as "household punchers". The middle class includes semi-professional tools weighing from 5 to 8 kg, they are distinguished by increased power and impact force (5-7 J). The tool can even cut through the steel grid, not to mention making an opening in a concrete wall. The heavy class includes punchers weighing over 8 kg and with a blow force of more than 8 J. 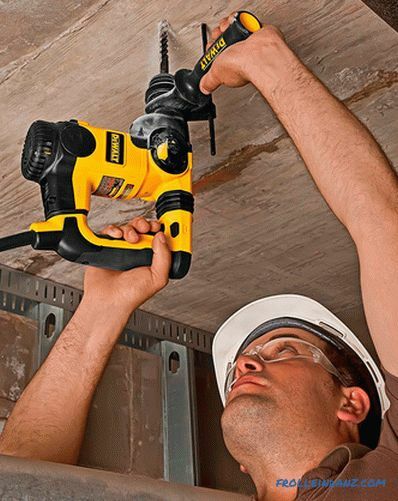 The tool is designed for long, continuous work. It is usually used by repair teams, therefore it is called professional. The purchase of a heavy-duty perforator for domestic conditions is an unjustified investment. 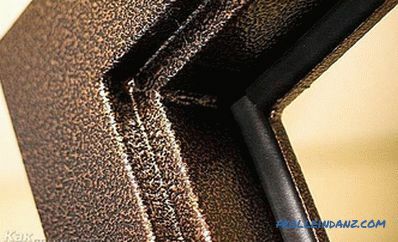 Special systems are used to form the impact force in perforators. They differ in the device and the principle of formation of shock force. There are pneumatic and electromechanical shock systems. air bags that increase the pressure in the system. 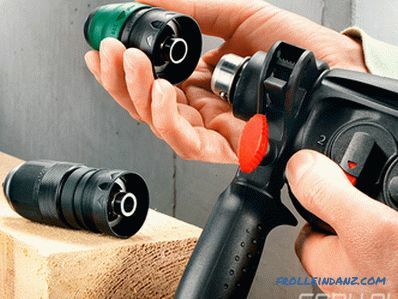 These types of punchers do not require strong pressure on the tool by the user. In order to qualitatively perform its functions, it is enough to apply a small effort in order for the instrument to carry out impact actions. Strong pressure on the instrument will quickly lead to its breakage. Domestic and semi-professional models are equipped with electromechanical shock mechanism. the latter transfers the impact energy to the snap-in. When using such perforators, it is necessary to exert pressure on the tool in order to create more effective blows. In appearance and shape the existing perforators can be divided into L-shaped (vertical engine) and straight (horizontal). The design of the first type is good because it allows you to reduce the length of the device and increase the area of ​​engine cooling. The perforator with a vertical engine positioning works longer without interruptions, because it does not overheat, and at the same time has an increased resource. 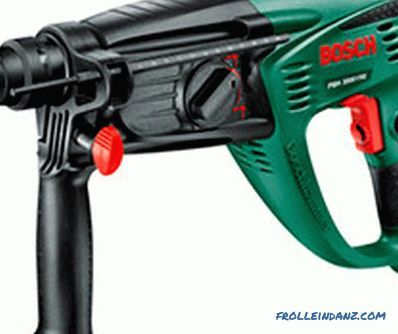 However, this tool is generally cumbersome, which lowers its maneuverability in confined spaces. For domestic purposes, preferred device with a horizontal engine. They are compact, lightweight, convenient. In addition, when repairing it is rarely necessary to operate the punch for several hours without a break. The capabilities of the tool are largely determined by the fixing method. 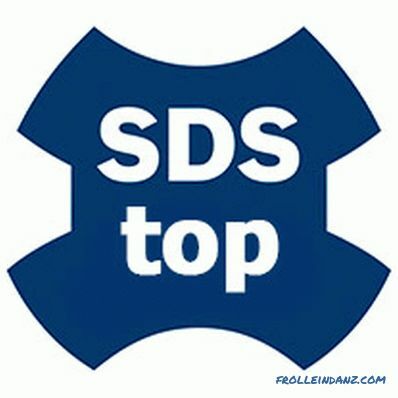 SDS + is used on household compact punchers. The diameter of the shank tooling for this type of attachment is 10 mm. A device equipped with this system is able to make a hole with a diameter of up to 30 mm. 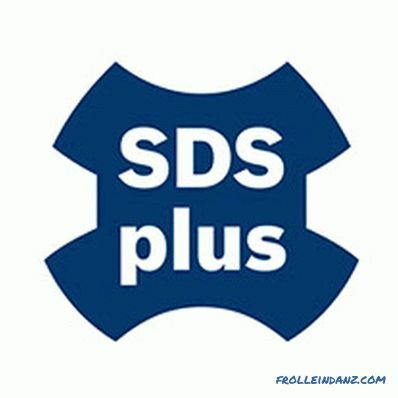 The tool with SDS-plus is more in demand than others, since it costs less than perforators with other types of fasteners for tooling. 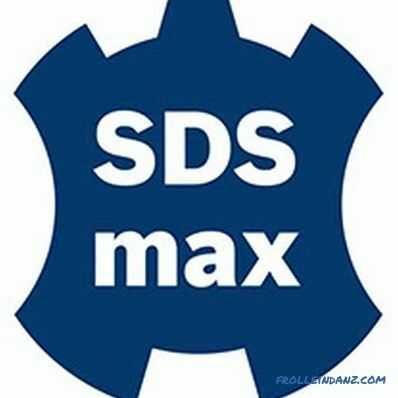 The SDS-max system includes professional devices. They make holes up to 52 mm, so the drill should be securely fastened. The diameter of the shank tooling is 18 mm. If the punch weight exceeds 8 kg, most likely it has an SDS-max fastening system. There are models of drills equipped with the SDS-top system, which is based on the SDS + system, but has a shank with a diameter of 14 mm. Punchers equipped with such a system are used to produce small holes of 16 to 25 mm in diameter. These types of punchers are reliable and durable. 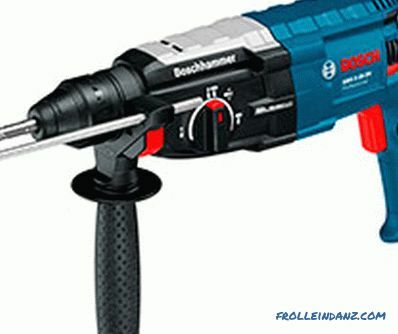 Some Bosch rotary hammers have this particular drill fastening system. The drill is fixed using oval grooves. Each system has two of them, but the diameter of the fixed shank differs: plus - 10 mm, top - 14 mm, max - 18 mm. Torque is transmitted through long slots. In the plus system there are two such, both are symmetric, in the top two asymmetrical, in max - three asymmetrical slots. 3 mode (drilling + drilling with a blow + only blows). 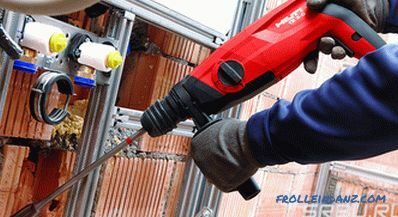 Drilling is an auxiliary function of the perforator, and it is not recommended to activate it without impacts - a drill is better suited for this purpose. 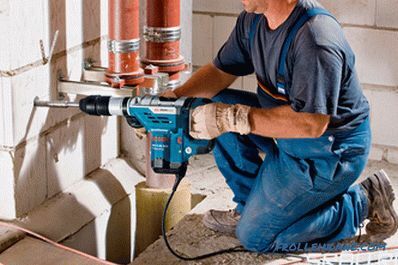 If it is necessary to perform drilling without a blow with a perforator, it is necessary to turn off the blow function and fix in the equipment not the drill, but ordinary drills for the drill. 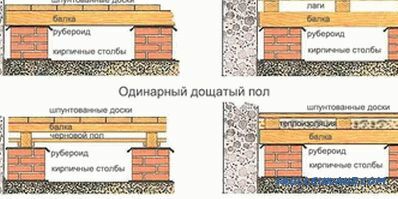 Wood, plastic, foam concrete, thin metal are allowed to be drilled. 1. Remove the SDS chuck from the perforator and replace it with a conventional drill. 2. Put the SDS adapter on the cartridge (sometimes it comes with the tool). 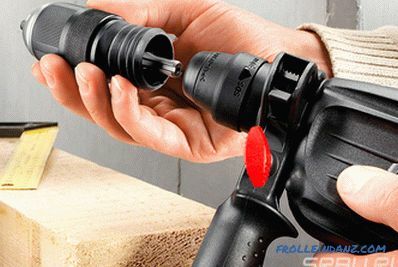 The first method is preferable, since the drill is fixed more reliably, the radial runout is minimal, and the accuracy of obtaining the holes is higher. 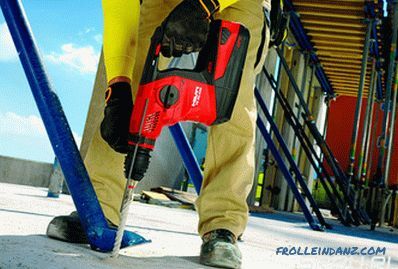 The chiselling function can be activated by disabling the mode of rotation of the drill. The rigging will perform only reciprocating movements and, according to the principle of operation, will remind the bump stop. grooving communication and wiring grooves. 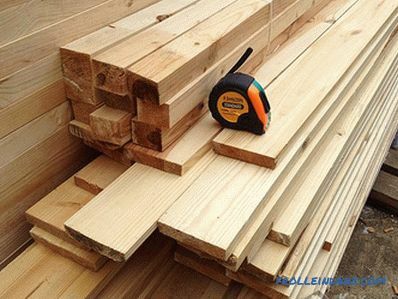 If you hammer a wall with a drill, it becomes blunt, therefore chisels are used. 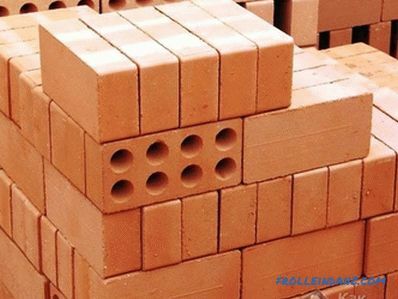 For small holes, slotting, for breaking stone objects, demolition, for splitting edges or removing tiles, bran. 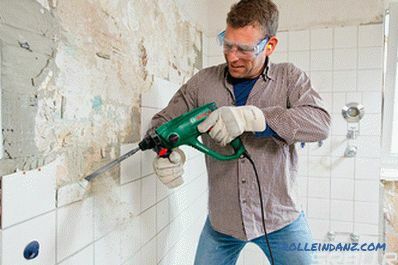 Drilling with a blow - the main mode of operation of the punch. 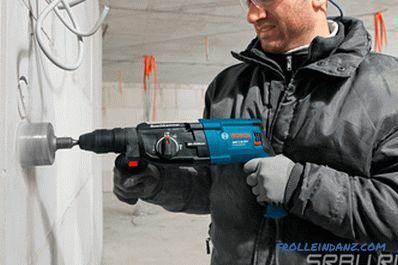 The tool here is a drill with a pointy tip, which quickly penetrates solid material. This mode has a high noise level, but the process takes less time due to the high efficiency of each stroke. The first is characterized by the presence of a long cord - an intermediary between the instrument and the 220 V household network. In the home, they are more often used. Battery models that can work for several hours without the need for recharging. Such devices are being tried on both in home workshops and professionals, when performing construction and installation works, in conditions where it is difficult to connect to the electrical network. 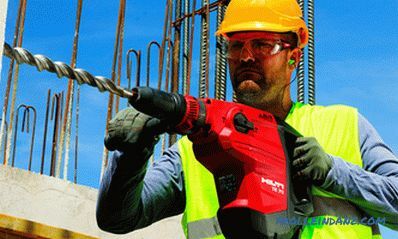 In order for the tool to meet the user's expectations, you need to know what kind of drills are, to have an idea about their design features, functions, and modes of operation.